Minnie Mouse Cupcake Maker Just $14.99! PLUS FREE Shipping! You are here: Home / Great Deals / Amazon Deals / Minnie Mouse Cupcake Maker Just $14.99! PLUS FREE Shipping! Score this Minnie Mouse Cupcake Maker which is on sale at Amazon for just $14.99 PLUS FREE shipping! 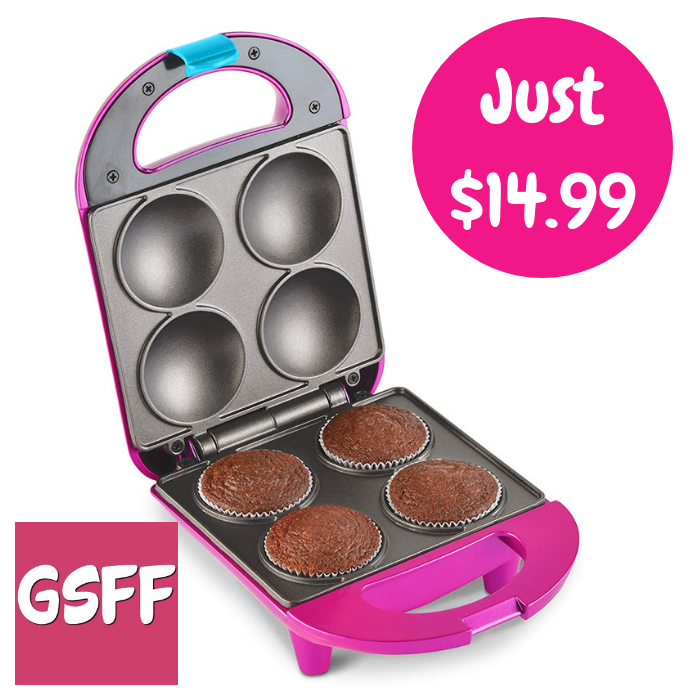 Cupcake Maker Makes 4 Cupcakes with Power Light, Latching Handle, Convenient Cord Wrap, Non-Skid Rubber Feet and Includes Animal Print Liners. This is cute!